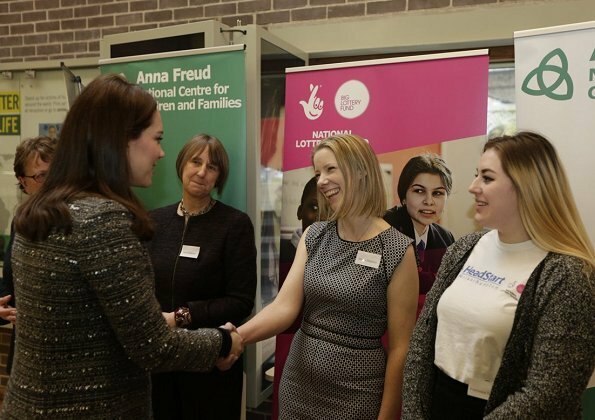 Duchess Catherine of Cambridge made a surprise visit to “Improving young people’s mental resilience and wellbeing: Learning from HeadStart” conference held by The Anna Freud National Centre (AFNCCF) at Amnesty International UK Human Rights Action Centre in London. 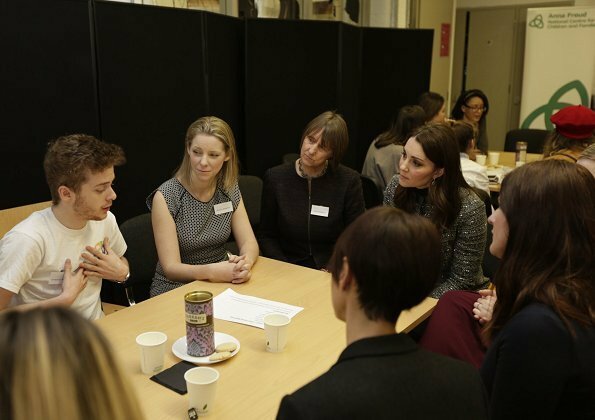 The Duchess is the patron of AFNCCF which operates for mental health and wellbeing of children. During her visit to the conference, the Duchess of Cambridge wore Bettina tweed coat by Tory Burch. 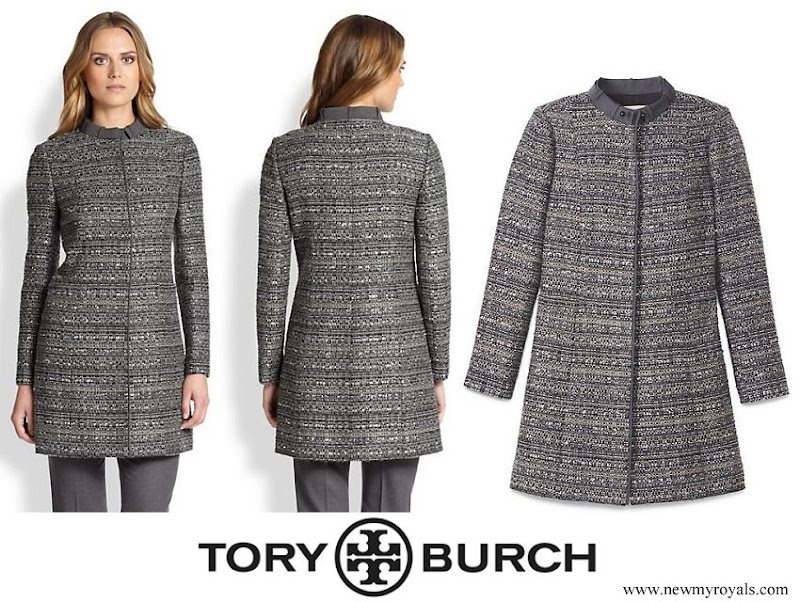 Another excellent event and perfect look. She looks great and is so engaged in the event.